As recently reported on March 28, 2019 on the Asbestos Case Tracker, the First Department of the New York Supreme Court issued a significant causation decision. In Joanne Corazza as Executrix of the Estate of George Cooney v. Amchem Products Inc., et al, the plaintiff sued multiple asbestos related defendants, alleging they were all the cause of Mr. Cooney’s lung cancer. Notably, Mr. Cooney was a two-and-a-half pack-per-day smoker of 52 years prior to his death. The case was tried to verdict over six weeks in front of Judge Martin Schulman, and the jury returned a verdict in favor of the plaintiff for $12.5 million. The last remaining defendant, a forklift manufacturer, moved for a post-trial JNOV, which was denied, and remittitur, which was granted to the extent of reducing the award to $3.5 million. It will be interesting to see how this decision will influence asbestos litigation in New York, within the First Department and beyond. We believe that with the First Department setting a higher standard for plaintiffs in their burden of proof, other courts within New York may follow the Corazza ruling to prohibit plaintiffs from building cases on such subjective assertions. New York law mandates that where an intermediate Appellate Division rules on an issue that a sister court has not yet ruled on, the Appellate Division decision is binding on the supreme court in other judicial departments. See e.g. People v. Burgos, 37 Misc. 3d 394, 409 (New York Cnty. Ct. 2012). With regard to NYCAL, courts have already begun demanding more detailed information regarding a plaintiff’s exposure at trial. In April 2015, a trial court jury awarded a verdict of $8 million to a deceased plaintiff and $3 million to the deceased’s plaintiff’s wife for loss of consortium. In re New York City Asbestos Litigation (Juni), 48 Misc. 3d 460 (Sup. Ct. New York City 2015). Following the verdict, a product manufacturer moved for orders striking the causation opinions of plaintiffs’ expert witnesses, dismissing the action and entering judgment as matter of law in favor of the manufacturer, or alternatively setting aside the verdict and granting a new trial. Upon a review of the expert opinions in the case, the trial court held that plaintiffs’ evidence of decedent’s “regular” exposure to asbestos from brakes, clutches, or gaskets sold by the defendant was legally insufficient to establish that such exposure was a significant contributing factor in causing the decedent’s mesothelioma. Therefore, the court granted the defendant’s motion to set aside the verdict. In February 2017, the Appellate Division of the First Department affirmed the court’s grant of the defendant’s motion to set aside the verdict. In re New York City Asbestos Litigation, 148 A.D. 233, 256 (1st Dept. 2017). And in November 2018, the Court of Appeals affirmed the Appellate Division’s ruling. With a combination of the Juni and Corazza decisions over the last six months, the law in New York is clearly improving on causation for defendants in asbestos litigation. The Corazza ruling creates an immediate problem in cases where plaintiffs have already admitted that they were unaware of the frequency of their alleged exposure to asbestos from defendants’ products. In such cases, the necessary foundation established by these decisions may be irreparably absent. If the record is closed, and no additional evidence obtained, those plaintiffs’ cases are at risk for dismissal under these standards. In cases where deposition testimony has taken place but discovery is incomplete, plaintiffs may now have to find additional objective evidence of the frequency of exposure to each of the defendants’ products, or risk the dismissal of these cases under the Corazza and Juni requirements. These rulings further create problems for plaintiff’s firms who currently have an effective strategy of minimizing the exposures of settled co-defendants, as it will be a lot harder to do when the record contains quantification of exposures from the settled defendants’ products. Specifically, by providing objective frequencies of exposure to each defendant’s products at a deposition, defendants remaining at trial will now have direct evidence of the quantum of exposure in support of it allocation defenses. Relatedly, an objective record of the plaintiff’s allegations will have a significant impact on expert’s substantial factor analysis in asbestos cases. With quantifiable frequencies of work involving each defendant’s product in a given case, defense experts will be able to benchmark the plaintiff’s allegations against epidemiological and regulatory levels to demonstrate that they are of limited or no consequence. 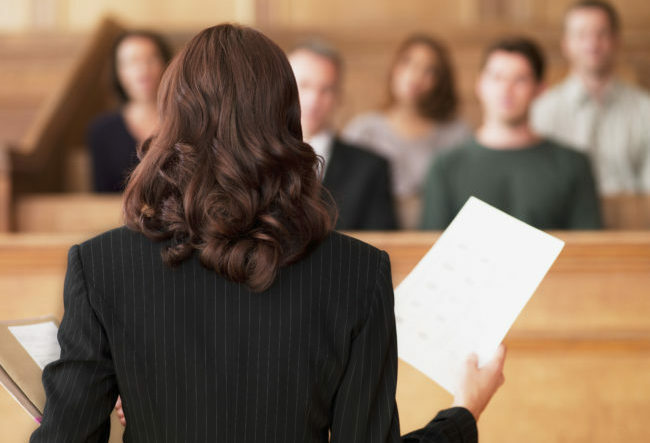 Trial defendants will also be able to compare the allegations against them, with the plaintiff’s lifetime of allegations to demonstrate that the allegations against them are an insignificant portion of the plaintiff’s total exposure. In short, while the rationale of the Corazza decision is somewhat narrow, there are reasons to believe that it will significantly impact New York asbestos litigation.